Did we miss the Greek Festival? You might be thinking based on decades past that you missed the Greek Festival. Yes, it is usually held in September. Don’t panic. The Gyro, Greek Fries and feast of succulent roasted lamb with tzatziki sauce, green beans, rice pilaf, spanakopita, and tyropita Oklahomans typically enjoy in September are offered in abundance this Thursday October 5th through Saturday October 7th in beautiful downtown Tulsa. Hosted by Holy Trinity Greek Orthodox Christian Church, this year, the community built a new community center and that construction delayed, but did not deter the Tulsa Greek Festival. In the 1920’s, a small group of immigrants laid the cornerstone of the community foundation and, brick upon brick, built their future in Tulsa. The original parish of Holy Trinity was born through faith, sacrifice, hard work and determination. In the 1960’s, they continued to build by erecting an event hall and building a new church. In 2001, yet again the community came together to build the Stavros Learning Center, offices and an educational room. And in 2014, they completed the magnificent Iconostasis. Amazing things have been accomplished by this small parish and now the new community center adds over 9,500 square feet of space. Featuring a banquet hall and youth activity center, the building will provide event space for 325 guests with a commercial kitchen and a tremendous upgrade in event technology and functionality. 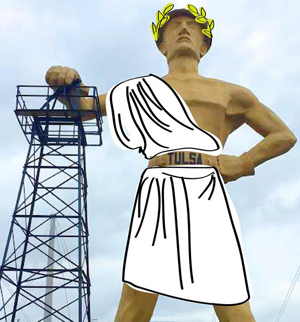 Construction could not stop and only delayed by a few weeks the Tulsa Greek Festival. Not to put too fine a point on the food, but the bakery featuring baklava, koulourakia, loukoumades, and more provide delights delicious. 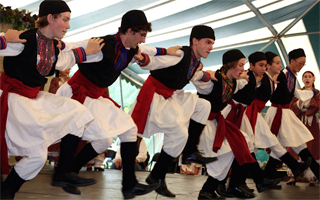 Greeks utilize dancing as a celebration of life. With joy they declare a dance at every occasion and every year local dance groups practice for months to show off their skills. 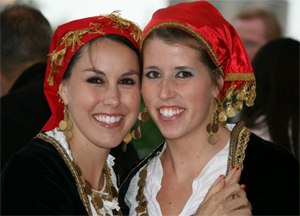 Visitors are especially welcome as dancers of all ages perform traditional Greek dances in costumes from every region of Greece. Live music is performed by The Greek Tycoons! The sounds of the Bouzouki will transport you to the Aegean. Hickman is Chairwoman for the Corporate Lunch Program. 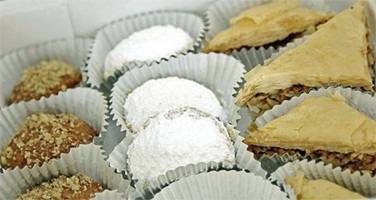 That program now in its second year offers a delicious selection of food which can be ordered online by clicking here and picked up at three downtown locations: WIlliams Tower, BOK and at the Greek Festival itself at 12th & Guthrie. Ordering is prepaid via Paypal and they request orders be placed by 5 pm the previous day – authentic Greek Food to go don’t ya know. 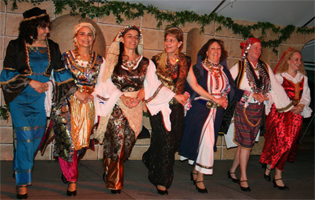 Hickman added, “Hospitality is the cornerstone of Greek culture. We love to celebrate in Tulsa each and every year. This entry was posted in Local, Out & About on October 3, 2017 by admin.